When it comes to masonry works, rely on us. We at Mike's Lawn & Garden offer a variety of services for your home exterior and garden needs. Our services range from installation of pavers and retaining walls, designing customized outdoor kitchens and landscape lighting, and installing custom stone and veneer. 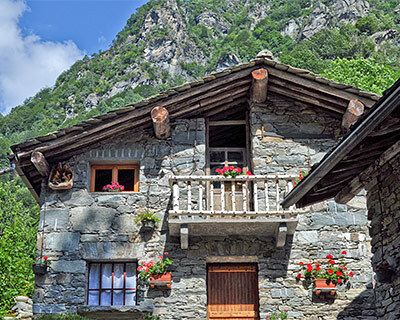 Custom Stone & Veneer Revamping your home can be an otherwise difficult feat. However, Mike's Lawn & Garden is here to guide you every step of the way. If you wish to customize your home exterior and garden, custom stone and veneers might just be things that you need. There are a myriad of natural stones available on the market to choose from. These take in the form of marble, granite, sandstone, slate, limestone, onyx, and flint just to name a few. These natural stones can be used for your home exterior and interior needs, such as kitchen countertops, bathroom and kitchen stoneware, and floor tiling. These can also be great choices in revamping your garden by adding custom stone pavements, pathways, landscaping structures, and more. Natural stone installations can do wonders to your home. 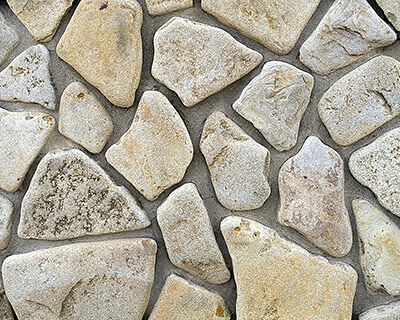 Transform your garden into a little paradise by putting up custom stones to your exterior home walls, lawn pathways, and pavements. These can give your home a feeling of being closer to nature. At Mike's Lawn & Garden, we have a team of skilled people that can do custom stone installation. We have a long list of reputable suppliers in the country that offer quality stones and a wide range of choices. These partnerships allow our company to easily work on whatever theme you envision for your garden. Stone veneers are wonderful adjuncts to your natural stone exteriors. Our veneers are durable and are easy to install, lighter in weight, and require lesser maintenance. There are two types of stone veneers: manufactured (faux) and natural stone type. We recommend the use of thin natural stone veneers because of their easy installation and flexibility in designs. Veneers can turn your dull wall or any other structure into an amazing work of art. They call for a more posh aura of your home, a classy feel, and subtle impression of sturdiness. Custom Stone & Veneer Such additions to your home and garden can be done DIY style. All you need is some sand and mortar, hammer and nails, metal lath, wire brush, trowel, and a moisture barrier. However, we can take off the work from your hands and do the custom stone and veneer installation for you. We at Mike's Lawn & Garden have a team of experienced workers with an in-depth professional skill in architecture, masonry work, and interior and exterior designs. We offer artistic and unique custom stone and veneer installations for your home exteriors and other outdoor areas. Aside from these, we also have appropriate certifications from industry organizations. We make sure that our customers get the best services they deserve by keeping in mind their personal preferences and needs. We also have a strong partnership with reliable suppliers in the country, so we can offer a wide range of custom stone and veneers that can fit any design and theme possible. Ask for a free estimate now.